Ruth Caddell McCullah, age 88 of Williamsburg, Ky., passed away Saturday August 18, 2018 at Williamsburg Health and Rehabilitation Center. She was born March 4, 1930 in Whitley County, Ky. to the late Claude and Vicy Moses Heatwole. Along with her parents she was preceded in death by her husband Wallace Caddell, 2 sons Timothy Caddell, Rev. David Caddell, a stepson Clarence McCullah, 5 sisters and 2 brothers. 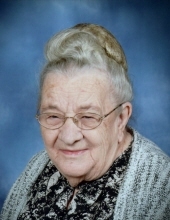 She was a longtime member of the Green Street Church of God. She is survived by her husband; Daniel “Hoss” McCullah of Williamsburg, Ky., 4 sons; Joe Caddell (Vivian) of Williamsburg, Ky., Jerry Caddell of Williamsburg, Ky., Mike Caddell (Becky) of Farmville, Virginia, Steve Caddell (Kathy) of Dalton, Georgia, 12 grandchildren; Scott Caddell (Ashley), Christopher Caddell, Kevin Caddell (Ellie), Jerry Wayne Caddell Jr., Bethany Shannon Barman (David), Heather Moore, Beth Davis (Chuck), James Michael Caddell Jr. (Grayson), Hedi Jones, Anna Caddell, Corey McDermitt (Cherie), Katie Ruth Caddell, 18 great grandchildren, daughter-in-law; Brenda Caddell, 6 step children; Brenda Harville, Betty Adams, Bernice Leach (Rev. Jerome), Mary Barrineau (Ted), Judy Carpenter (Leon) and Glen McCullah, 1 sister; Christina Kaufman of Jacksonville, Florida, several nieces, nephews and a host of relatives and friends to mourn her passing. Funeral service will be 2:00 pm Tuesday August 21, 2018 at Ellison Funeral Home Chapel with Rev. Jerome McCullah and Rev. Steve Kirkland officiating. Interment will be in the Cumberland Freewill Cemetery. Visitation will be after 6:00 pm Monday August 20, 2018 at Ellison Funeral Home Chapel. To send flowers or a remembrance gift to the family of Ruth Caddell McCullah, please visit our Tribute Store. "Email Address" would like to share the life celebration of Ruth Caddell McCullah. Click on the "link" to go to share a favorite memory or leave a condolence message for the family.